If you ask me, well, i just don't like them i love them. 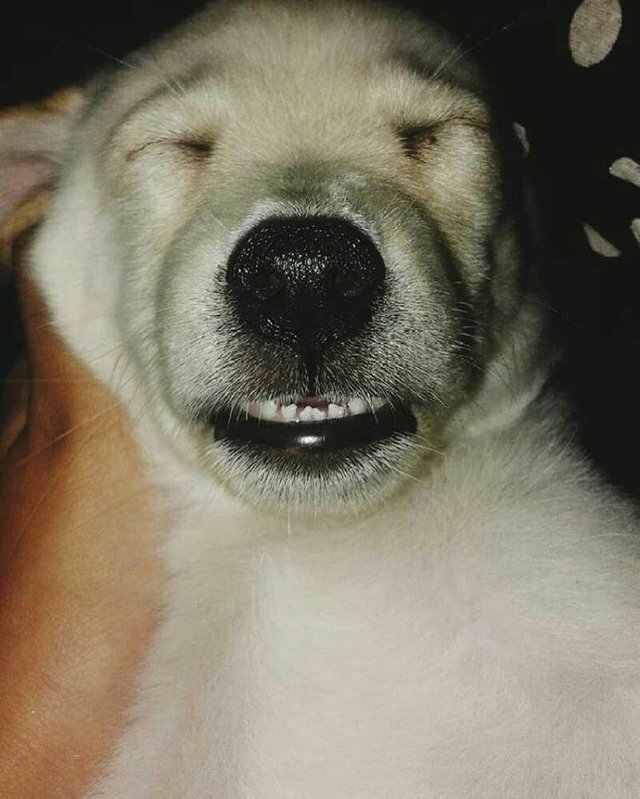 i have a puppy named tutty(tattie) my sister gave her that name. I don't see tutty as a dog i see her as my little sister haha. Isn't it sweet that everytime we go home we know there's someone waiting for us, someone who's very excited to see us and we know for sure that, that someone who's waiting for us loves us, pure and real. 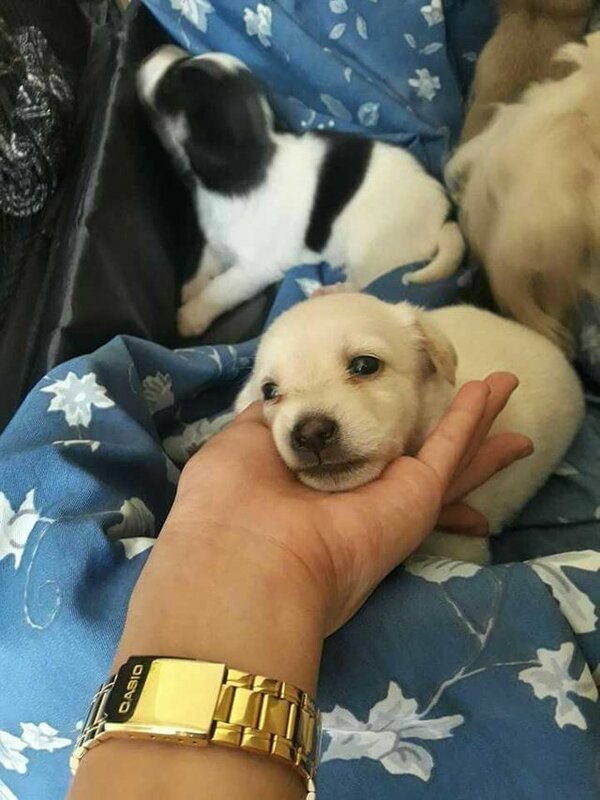 The picture above is tutty our puppy, that picture was taken when she was still one and a half month old, and beside her are her sisters. Everytime i got home from school tutty was always there to welcome me home, she was always there to let me know that there's someone who's very excited to see me. Her wagging tale always makes me smile, her barks are the one that makes my day happy. Each day i spent time with tutty was always my favorite day. 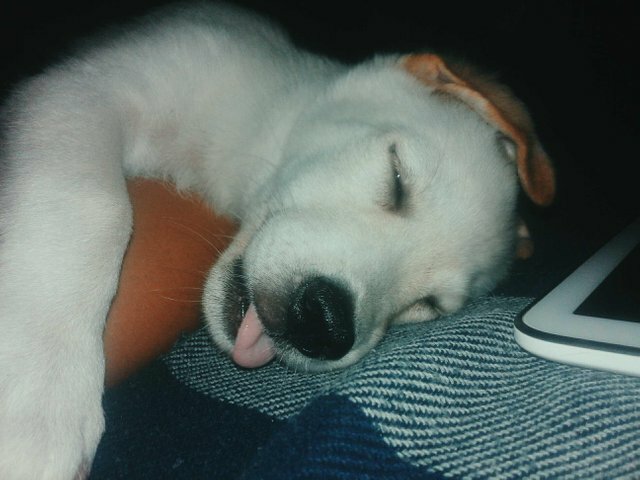 She loves showing her teeth... you know toothy smile XD and when she sleeps, she keeps her tongue out. I remember, when we first got tutty. 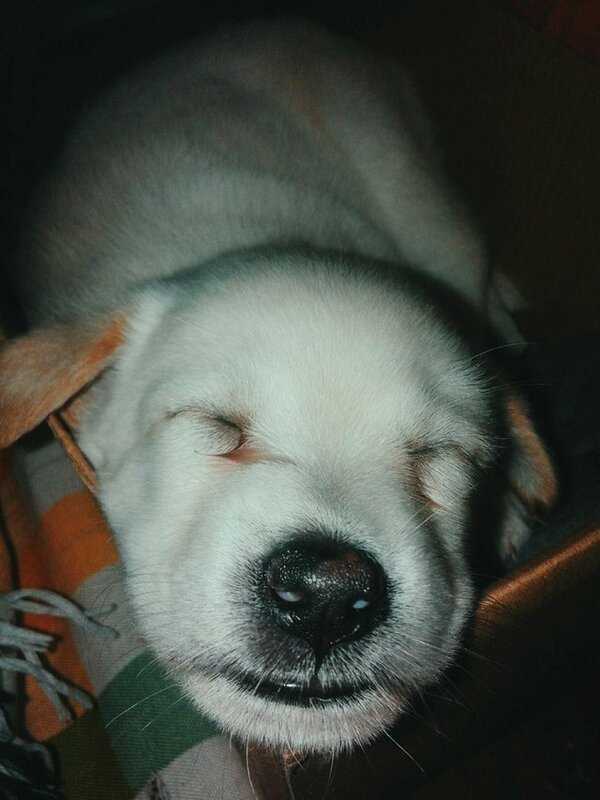 (By the way we got tutty from my kuya's(older brother) girlfriend, my mom was so angry becuase tutty loves to bite things haha i don't know but we just let her bite things she wants to bite 'cause we find it adorable, she almost chew anything she wants to. She also loves to play with our neighbor's cats. lol i don't know if they are playing or fighting haha tutty loves chasing our neighbor's cats. Day by day tutty learned so many things already, biting things wasn't tutty's hobby anymore haha and she became sweeter than before. Tutty was such a happy and healthy dog, until one day. We've noticed something different about her, she was always hiding in the corner of our room and noticed that she was looking so weak, she doesn't wan't to eat nor even drink a water. We then, decided to bring tutty to a veterinarian and find out that tutty has a parvo. Parvo is a virus, it is an illness that affects dogs. 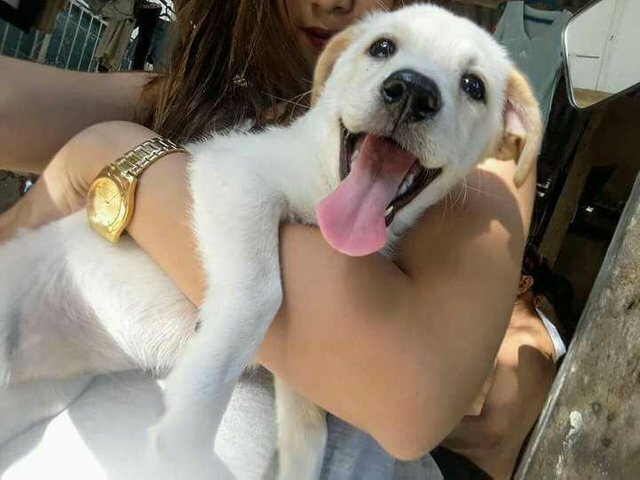 To learn more what parvo is, you may visit this link. 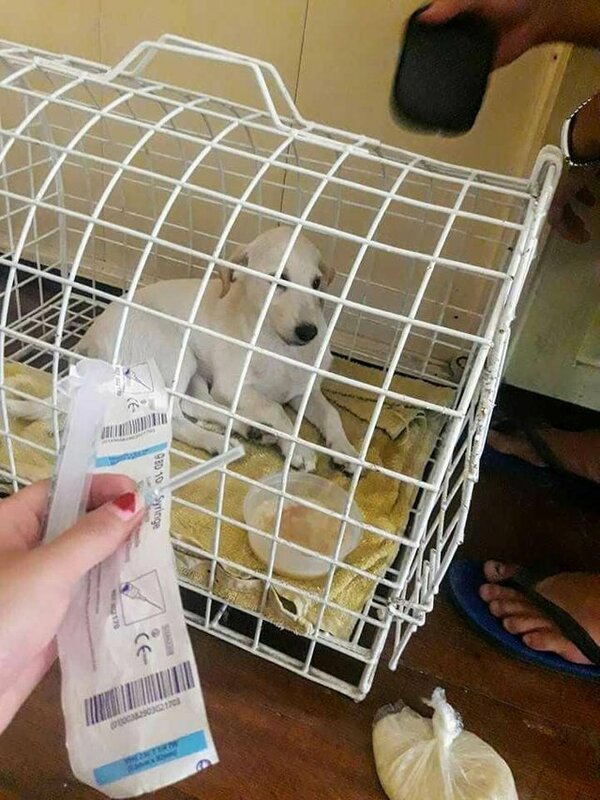 We were totally shocked, we did everything so that tutty can survive, but the veterinarian told my older brother that tutty is too young and the possibility of survival is low because tutty is still weak, since tutty is still three and a half months old she couldn't bear the pain yet. I was in mabinay during the time when our beloved tutty died, my older brother called me and told me about everything. I was totally speechless and i couldn't utter a word, i ended the call and cried.i don't know how to explain the pain i felt during that time, i lost my bestfriend and it's heartbreaking. We were all so sad. Everytime i go home from school i don't feel like going home and our house always feels so empty. But despite what happened, we've managed ourselves to slowy move on. I know everything happens for a reason. It will take time and strenght before things feel quite right, it's not easy. Yes you may say it's just a puppy but for us, she's not just a puppy. She's part of our family, our bestfriend/sister. Tutty, you'll always and forever be in our hearts. Tutty was such a happy and healthy dog, untill one day. It should be until instead of untill.